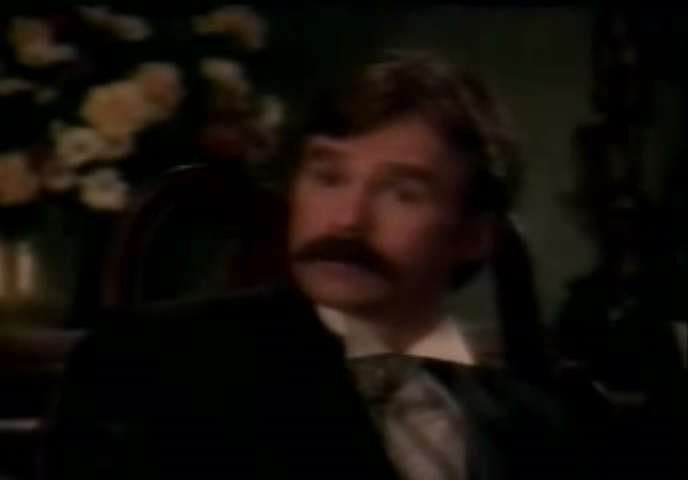 Earnest Pratt/Nicodemus Legend, with that… mustache. 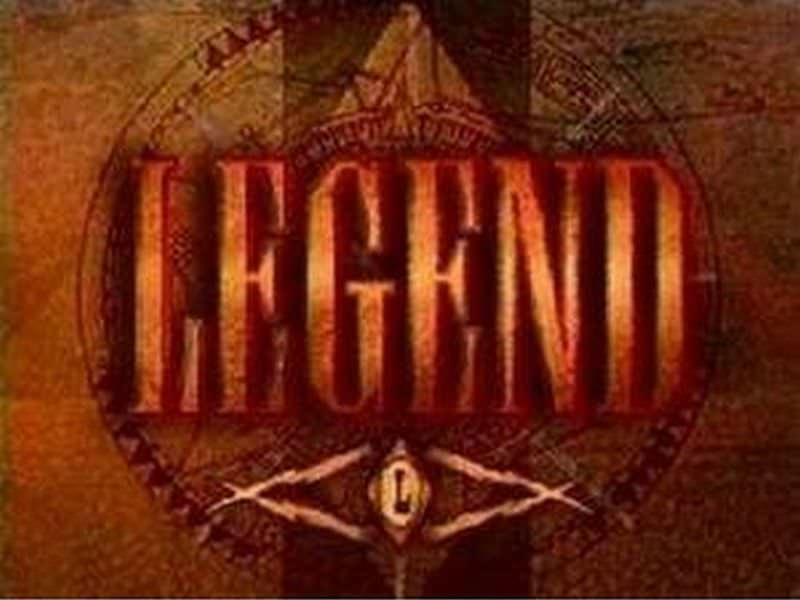 Legend was created in part by Michael Piller, a former TNG-era Star Trek writer, which is already a promising start. By far the most notable thing about Legend is its leading men, however. With Richard Dean Anderson (THE Colonel Jack O’Neill) as Ernest Pratt, a rough-around-the-edges author of pulpy adventures, and John de Lancie (Q) as Janos Bartok, an eccentric mad scientist who has used the image of Pratt’s fictional hero, Nicodemus Legend, to do some good for the people of a nearby town. Pratt himself is hardly the heroic type, but given he’s the cover model for Legend, everyone assumes he’s responsible and he’s roped in anyway, excited by the prospect of free advertising these deeds can offer. There’s also Bartok’s assistant, Huitzilopochtli Ramos, a Mexican descendant of the Aztec who takes his name from a god (Mark Adair-Rios, who appeared on Space:Above & Beyond) and ambitious local “Skeeter” (Jarrad Paul, who was on the aforementioned SF legal drama Century City). It’s sort of like a steampunk Galaxy Quest, in that it involves an artist stepping into the shoes of his fictional counterpart while adding his own skills (and a few tricks from an outside fan) to help save the day. While Anderson and de Lancie did work together on Stargate SG-1, de Lancie’s villainous bureaucrat Frank Simmons hardly gave him the opportunity to let loose; knowing the screen presence both actors can possess, I didn’t need to look much further before I was all in on giving this show a watch. I was definitely right to let the stars’ names draw me in. They’re fantastic in this, with much of RDA’s trademark humor on display, and de Lancie is in his element as a Tesla-inspired scientist. The pair have such great chemistry that it’s absolutely tragic they didn’t get more opportunity to interact in the future, either in this show or SG-1. I wouldn’t call it campy, but there’s a tongue-in-cheek tone that makes it just plain fun to watch. There are a few recognizable faces besides our protagonists, too. Robert Englund (Freddy Krueger, in addition to many other TV sci-fi roles), Ken Jenkins (Dr. Kelso on Scrubs, with roles on TNG, The X-Files, and Sliders), Fionnula Flanagan (Former Mayor Nicolette Riordan from Defiance and Ellie Hawking on LOST, with TNG/DS9 roles, too), and prolific character actor James Hong (most famously in Blade Runner, but more recently seen as Agent May’s father in SHIELD). A number of historical figures come to Legend for aid, including Ulysses S. Grant (the then-President! ), General Custer, and “Wild Bill” Hickok. 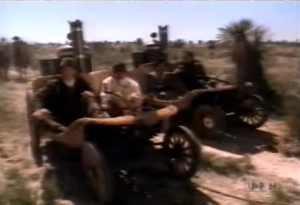 Pretty typical of a period piece in the action/adventure genre, honestly, just as it is for time travel stories. It’s moderately well done here, so nothing to really complain about. Possibly the most interesting thing about the setting is the application of modern corporate and PR tactics by Pratt, his publishers and agents, as well as a few other characters. He does publicity tours, performs damage control when his image is harmed, and produces and signs merchandise for his very modern-style fans. It helps with the general “whitewashing” of views that generally comes with historical adventures (especially steampunk), because if Pratt is so modern in his business tactics, then why not also in his views on immigrants and Native Americans, on science and creationism? It makes it seem less like our hero is incorruptibly pure and more that he’s simply far, far ahead of his time. Anachronism comes with the territory, so why not embrace it? On the other hand, characters aside from the main cast often do exhibit views that would’ve been common for the time period; racism against Mexicans and Natives is common, as is sexism (although with Pratt’s womanizing, even he’s not immune to that). The townspeople are uneducated and often easily swayed by emotional appeals, which our worldly and highly educated protagonists struggle with. Robber Baron-inspired characters use ideas like Prosperity Theology as a means of convincing the average person to stay out of their business, while abusing the law and their connections to get a leg up on patents and technologies (Edison is mentioned by name in this regard). It’s straight out of the Gilded Age, and as a result is quite relevant to today’s problems. No cliffhanger! It ends on a pleasant note, with a goodbye to one character, that makes for a totally satisfactory final episode. The sci-fi element is a bit weak. It mostly relies on Bartok’s inventions, which, given the tech level he’s got to work with, are unwieldy when they work right, and he can’t even always promise that. It’s very much a gadget show in that regard; while his inventions aren’t exactly critical to the resolution of the plot (most of the time), they often help to get through situations that might otherwise be difficult or unpleasant for our writer-turned-hero (a handheld magnetic device to steal away pistols, for example). But he does sometimes come up with neat ideas–like a remote controlled, balloon-based camera drone. It’s just that those are, in the greatest steampunk tradition, complicated reworkings of modern devices with older technology, rather than entirely new things all together, so it doesn’t feel very sci-fi. Legend strikes me as a bit too “episodic”, which is usually not a point in favor of the good or bad; it’s just a fact of the show. However, in this case, I would’ve liked to see more in the way of recurring storylines. Given the structured parallels to the dime-store Legend books that Pratt writes in-universe, this is likely deliberate. Even with all that said, he could really use a nemesis to play off of; just someone who could stand toe to toe with RDA’s charisma on the opposing side. The beginnings of formula start to creep in by the end of the 12 episodes. For instance, Bartok and Pratt wind up breaking into buildings and cracking safes on several different occasions, each met with a different means of getting into the safe. They at least approach it in a unique way each time, but I don’t know how long they’d have been able to keep that up. Our protagonists often operate more like private detectives than gunslingers or scientists, so opening the episode with the arrival of their latest client and case is very common. Some bad CGI, mostly limited to long shots of the Legend balloon which they use to travel. It’s not a huge issue. Their mustaches are ridiculous. All of them. Legend is, overall, a fun show with scattered moments of hilarity. One of the most common complaints about it is that it can be a little slow or dull, but I didn’t have that issue really; even at its slowest points, the charm of the leads is enough to hold my attention. I’m not usually one for Westerns, and Steampunk has never had much luck on film or TV, but talent on screen and off were able to pull together a show that’s got plenty of entertainment value, even to those outside its target audience. As a summer premiere on the fledgling network of UPN, it was almost certainly doomed from the start; Voyager cast a long shadow over most of UPN’s other shows, but they would never replicate that success despite many, many failed attempts. 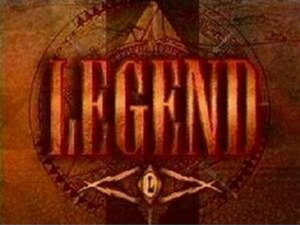 If Legend had been allowed to be what it is, it probably could’ve done alright as a quiet but adequately performing show. 4/5 UFOs. A fun adventure with beloved SF actors. Have any suggestions? Or are there any little known shows you’re a fan of that you’d like me to cover? Leave them in the comments, or send a tweet to @RetroPhaseShift. Consider joining the mailing list to be notified of future Primers, and to gain access to the exclusive short Unjustified Nostalgia. Alternatively, if you like cyberpunk as much as steampunk, you can check out my novels The Arcology or Eidolon. Book 3 is on its way! Somehow I’ve never heard of this, but after hearing “the old west version of Galaxy Quest” I am all in. I am so glad it’s on Amazon, I can’t wait to check it out. Thanks for the heads up!